European companies are considered global leaders in the field of ocean energy. By 2050, the market is expected to be worth 53 billion euros annually. 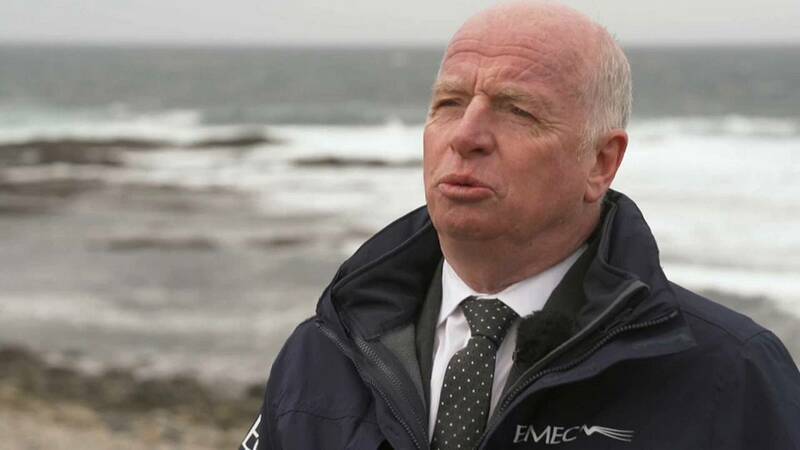 As part of an Ocean episode on harnessing the power of our seas, we spoke to Neil Kermode, the Managing Director of the European Marine Energy Centre. When speaking about the potential growth in this sector Kermode says: _"We need people in coastal areas to really care about this technology because this is going to involve jobs in these coastal areas. These machines are going to be brought in from various places, but they are going to have to be maintained generally by local people, going in on boats and fixing these machines and making them work. We've already seen here in these islands that there's been a lot of work created — in just the research work, let alone the deployment that's going to come. So we think it is important to coastal communities for their future, the sustainability and their energy supply." The European Commission has pumped some 300 million euros over the past decade into tidal and wave energy projects as more and more private investors are showing interest in the sector. _"It's really interesting seeing how much interest there is by private investors in this space. So there have been a couple of crowdsourcing activities which have been very successful. But we do realise that they still going to need governmental support until there's sufficient private confidence, and one will taper down as the other tapers up. So it takes time to make this happen, but we are seeing a lot of private interest in this," Kermode says. "It takes time to make this work"
Summing up Kermode insists: _"I think the thing that is needed to make these technologies successful is have a degree of patience, because it takes time to make this work, have the confidence that it's going to be there, and maintain the vision that this has got the ability to deliver low carbon energy. This will not happen in five minutes. It does take time to do it. So what we need to see is sustained support, determined support, and ensure that regulators are able to help this technology get into the water."